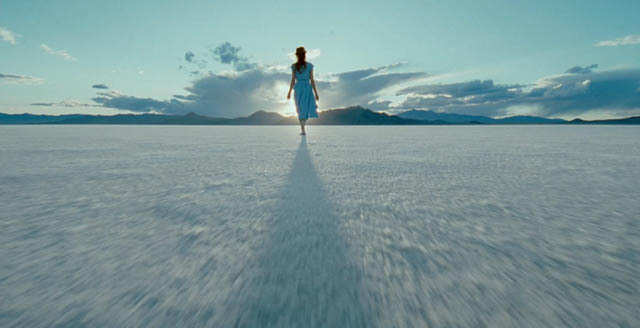 As a longtime admirer and fan of Terrence Malick’s work, I’ve been hesitant to write about The Tree of Life because it’s the first of his films that I haven’t loved at first sight. There are many things I liked about it on a first viewing, but there are other things which don’t seem to work for me. 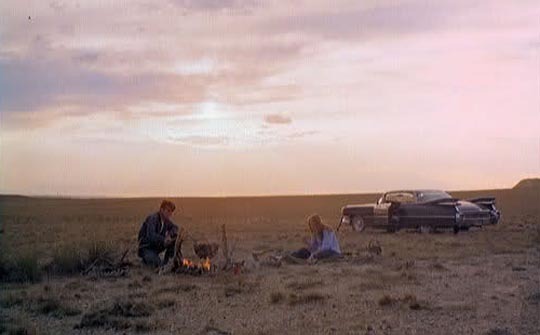 Malick hooked me when I first saw Badlands back in 1973. There was something about the way he used an almost stately formal visual approach in both conjunction and conflict with Sissy Spacek’s voice-over to create multiple layers of meaning, providing a remarkable depth to the narrative. Right there in his first feature, he was already exploring the ways in which identity is constructed only partially from objective experience. The narrative that Holly (Spacek) creates to explain and give shape to the bleak, random violence of her flight with Kit (Martin Sheen) takes the awful meaninglessness of his murder spree and invests it with the kind of mythological romance with which movies so often treat violence (cf. Penn’s Bonnie and Clyde ). 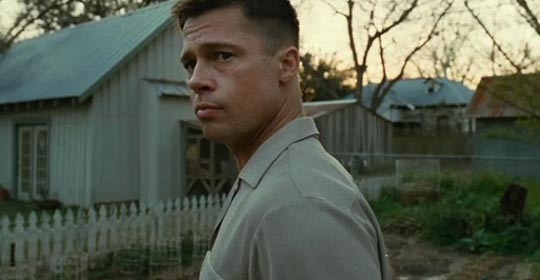 Right there at the beginning, the nature of filmmaking itself was woven into the fabric of Malick’s work, representative of psychological processes, the functions of memory and projection. 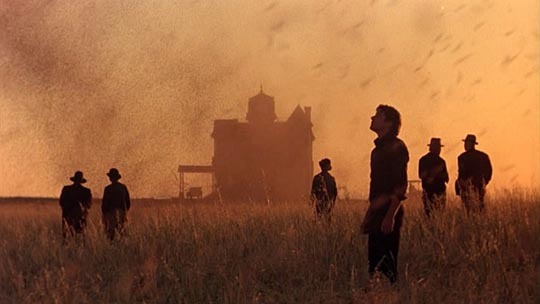 Malick took this even further in his second feature, Days of Heaven (1978), again using a strangely disconnected narrator, Linda (Linda Manz), to construct and comment on a story which she in fact can barely grasp, and in the end is incapable of understanding. While the visual presentation of the world in Badlands has a remarkably tactile quality, it was in Days that it first really becomes apparent that Malick is vitally concerned with both the physical and spiritual qualities of nature. His observation of plants and animal life carries as much weight as his observation of people and, in Days, an air of tragedy overhangs the conflicts and desires of characters who are so small in the face of nature that they are unaware of the almost Biblical quality of the narrative of passion and death that consumes them. Although Malick didn’t make another film for twenty years, when he returned with The Thin Red Line in 1998 these themes had expanded to something like a cosmic scale; his imagery was imbued with the numinous qualities of nature, and his sense of the tragedy of human disconnection from that nature now went beyond the personal stories of the characters to permeate the entire species. Some critics complained that the various voices heard throughout the film were indistinguishable from each other, but that was the point: the film presents a collective consciousness, where each voice blends with all others into a single voice, one which is lost, confused, hurt and angry, yet still capable of glimpsing something mystical and beautiful in the world. There’s never been another war film like The Thin Red Line, because unlike almost all other war films, it’s not about the terrible things that people do to each other so much as it’s about the natural world within which they do it. A place of such breathtaking beauty that those human acts become incomprehensible. The film’s elliptical treatment of narrative, in which apparently vital pieces of action are passed over with a single cut, points to the ultimate insignificance of the deadly conflict consuming the characters, while the lingering images of nature highlight what is important and lasting. Given Malick’s investment in nature and the human place within it, it’s not surprising that he chose The New World (2005) as his next project, moving back and away from modern, technological society to a time when people were more directly involved with the physical world around them, where in fact that involvement was a matter of survival. In many ways, the concerns which Malick has developed through these four films reach their apotheosis in The Tree of Life. Narrative dissolves into an almost ritualistic, impressionistic flow of images which repeat and echo and accumulate both within a single human consciousness – the eldest son, Jack (Hunter McCracken), of an unremarkable family in suburban Waco in the ’50s (or rather, more specifically, in the consciousness of the grown Jack [Sean Penn] remembering his younger self) – and also within a vast cosmic consciousness. But this is where I have problems with Tree; at least on my first viewing. For the first time Malick seems to be straining for large thematic effects, rather than subtly embodying them within the fabric of the film. When, about twenty minutes in, we suddenly get the story of the universe from the Big Bang, through the formation of the galaxies, the birth of planets, the origin of life in Earth’s seas, the rise and devastating fall of the dinosaurs, all eventually bringing us back to that one small family in Texas, we might interpret the meaning – the cosmic context within which an individual human life unfolds – but again, for me at least, it remains simply an idea, a statement rather than something organically occurring within the narrative. And when we get to the end, with its images of the flow of life across some cosmic landscape, some of the images (that doorway on the sand) seem trite and obvious. And yet, I was enthralled by the evocation of a childhood remembered, moments folding together, overlapping, repeating, accumulating emotional weight and meaning as we seem to see a personality being pieced together from all the myriad accidents of experience. This is what I’ve loved in Malick’s work, the increasingly complex conjunction of impressionistic visuals and elliptical narrative strategies with increasingly rich and complex voices which transform what we see and hear into a visceral experience of the formation of consciousness. So I’ll certainly return to The Tree of Life (just as I’ve returned repeatedly to all of Malick’s films) and perhaps, looking at it again, the pieces will fall into place in ways I missed on that initial viewing. But even if they don’t, and the film continues to appear flawed to me, I’ll be grateful for Malick’s virtually unique vision among contemporary filmmakers. PS One of the best things I’ve ever read about Malick’s work in general, and The Tree of Life in particular, is this essay by Geoffrey O’Brien in the New York Review of Books. 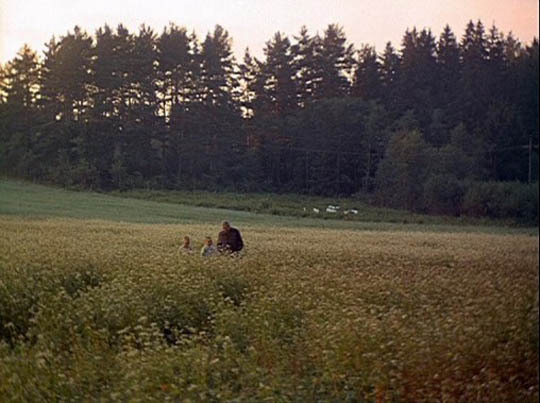 This entry was posted in Review and tagged Andrei Tarkovsky, Directors, Review, Terrence Malick. Bookmark the permalink. It’s been quite a very long time that I keep saying to myself : “Roland, you have to write to George, you have to send him a mail” (and gosh, I will do it one of these days, dammit ! ;-), as I’ve been quite (too much) busy this year. Anyways, only a brief comment to your text today to tell you that “The Tree of Life” is the best film I’ve seen since a good few years and that I keep thinking about it almost everyday since a few months. In fact, I’ve just finished to write an essay about it, and even if you don’t speak French, perhaps a translation of it will give you an idea about it (even if I’ve tried to choose very carefully some precise words to translate the emotions I’ve felt when I was watching it). Good to hear from you. As I don’t read (or speak French), I’ll try to get a friend to translate your essay for me … definitely interested in your response to Tree of Life!